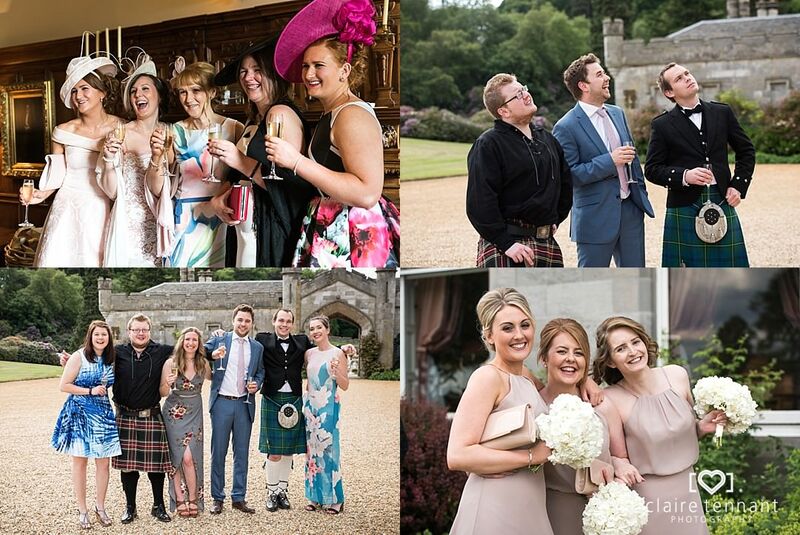 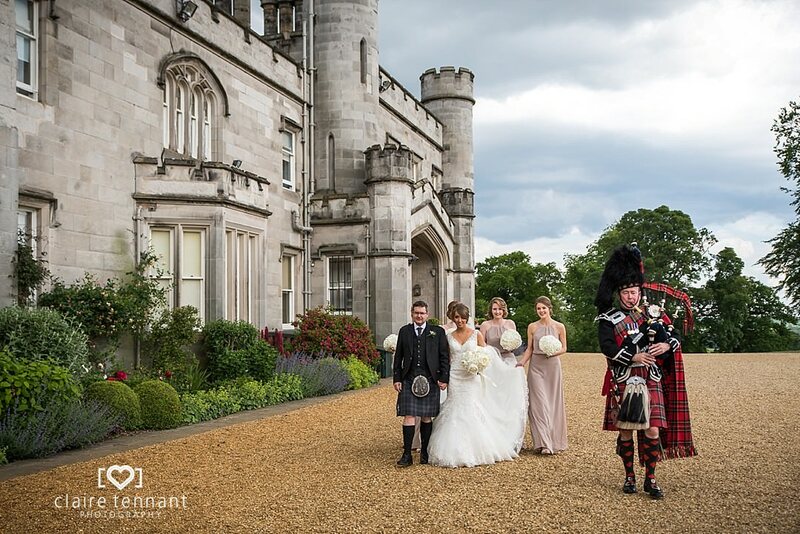 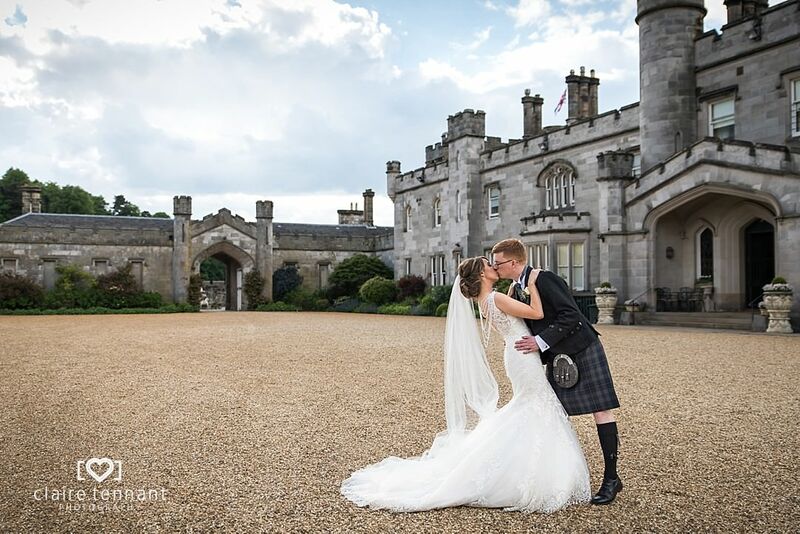 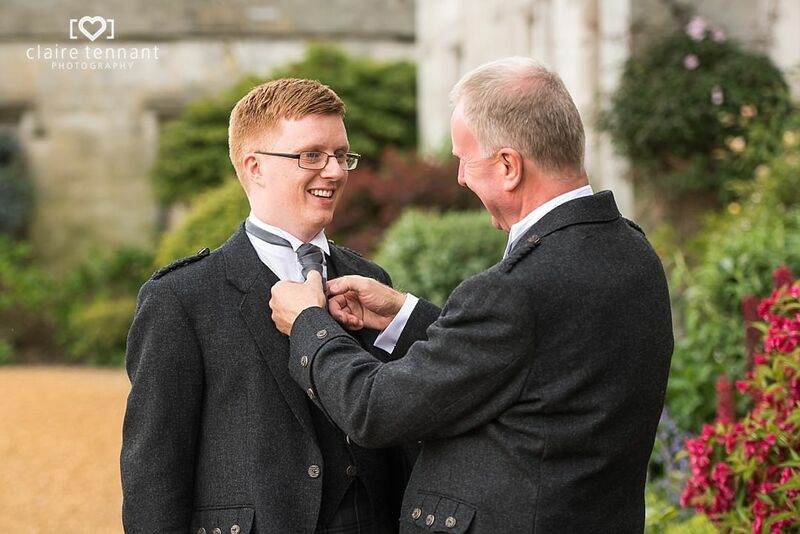 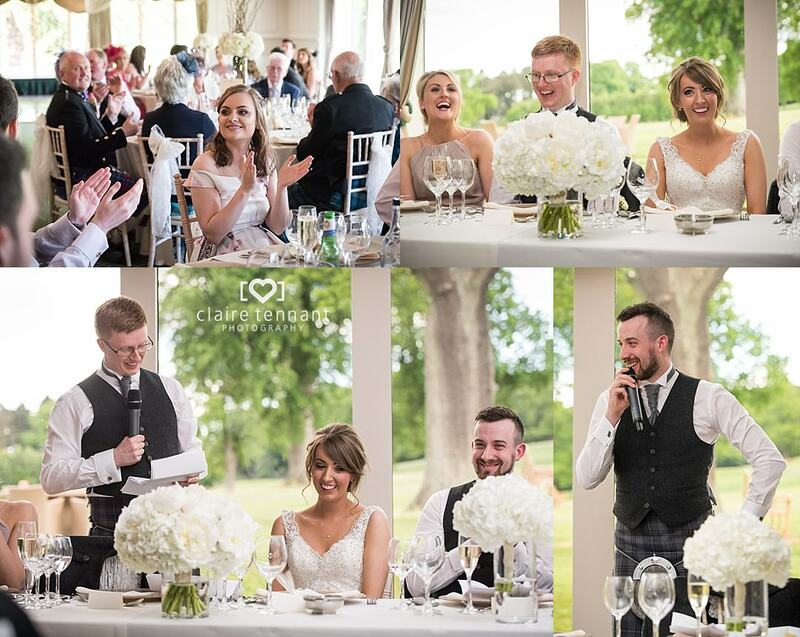 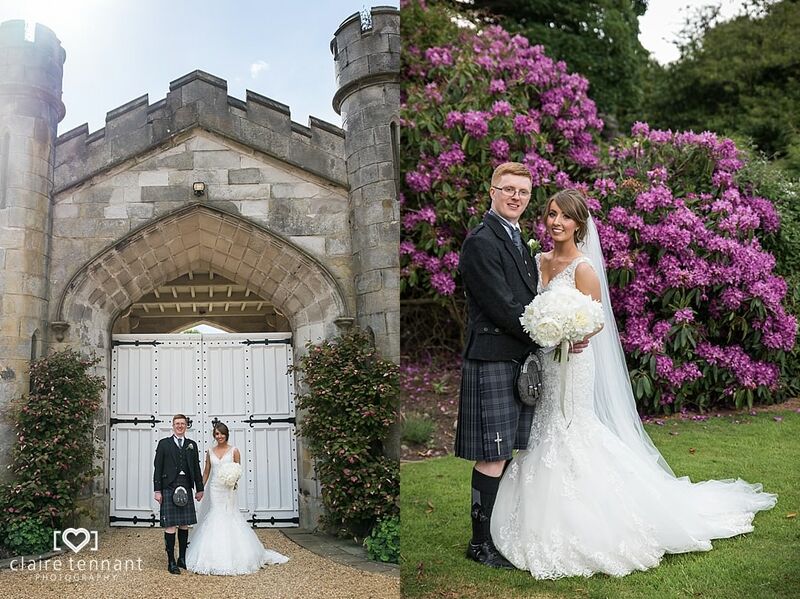 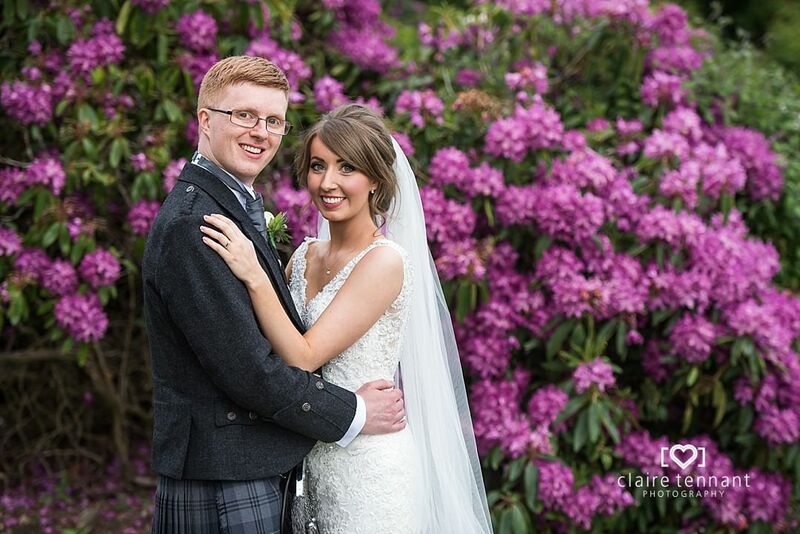 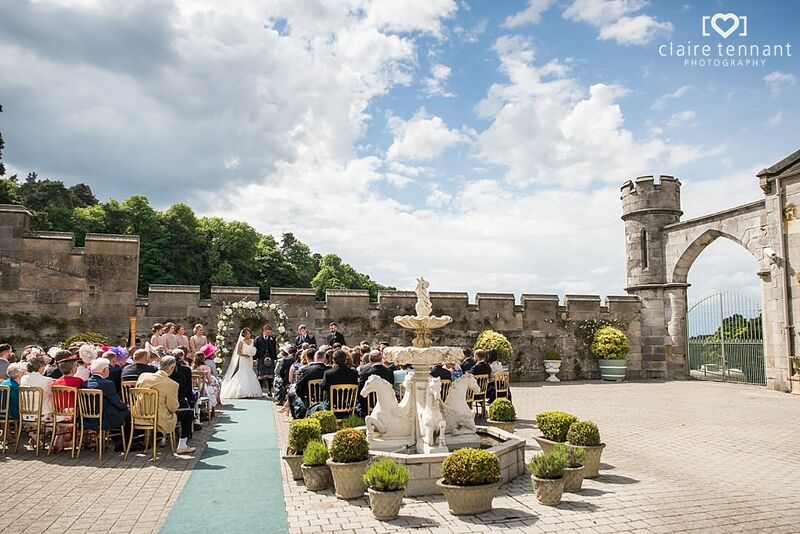 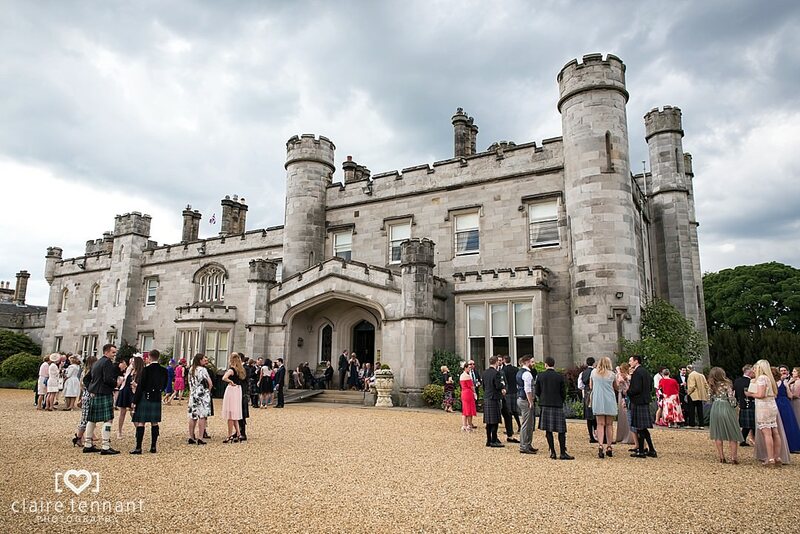 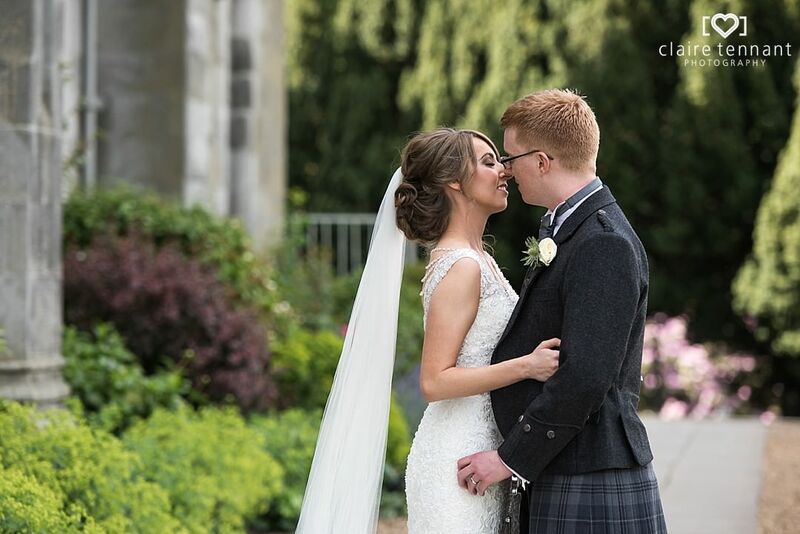 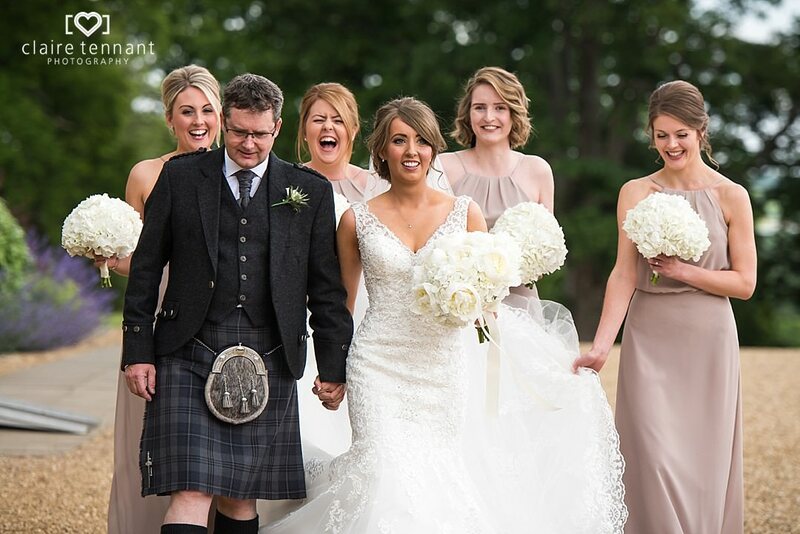 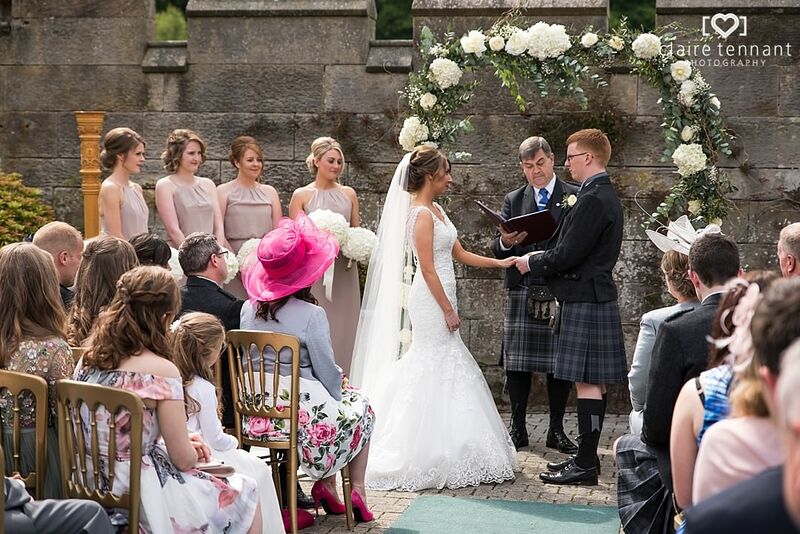 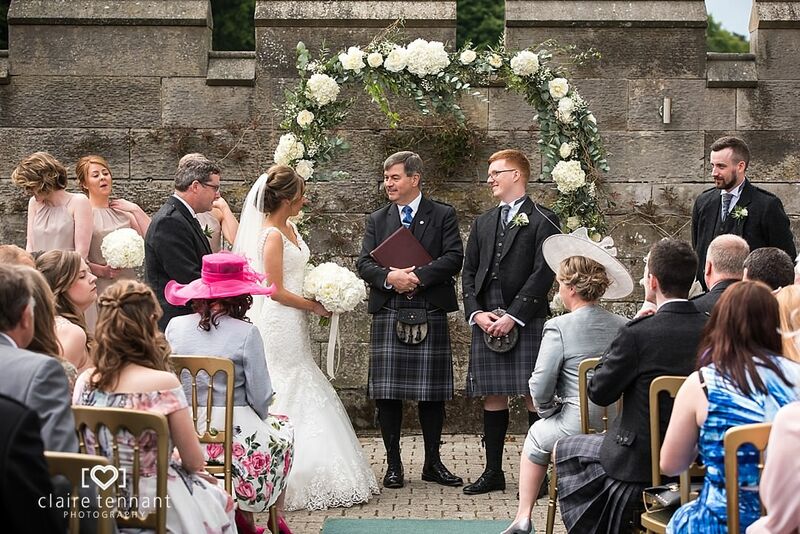 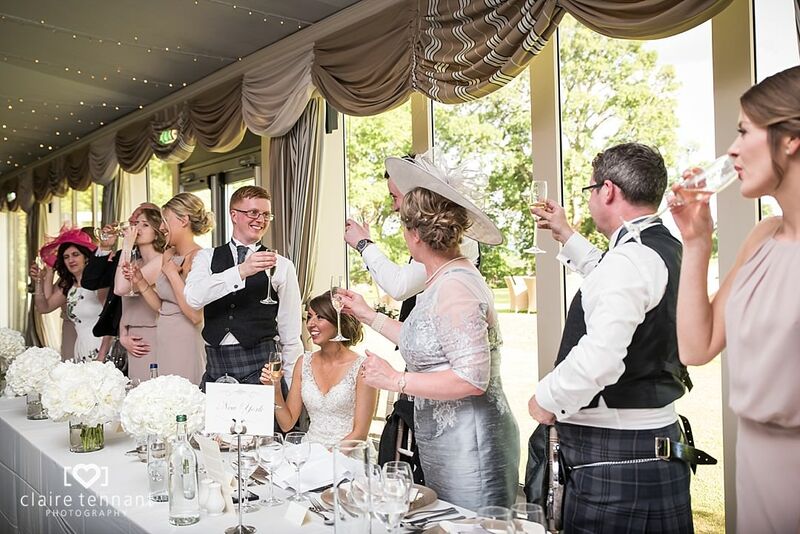 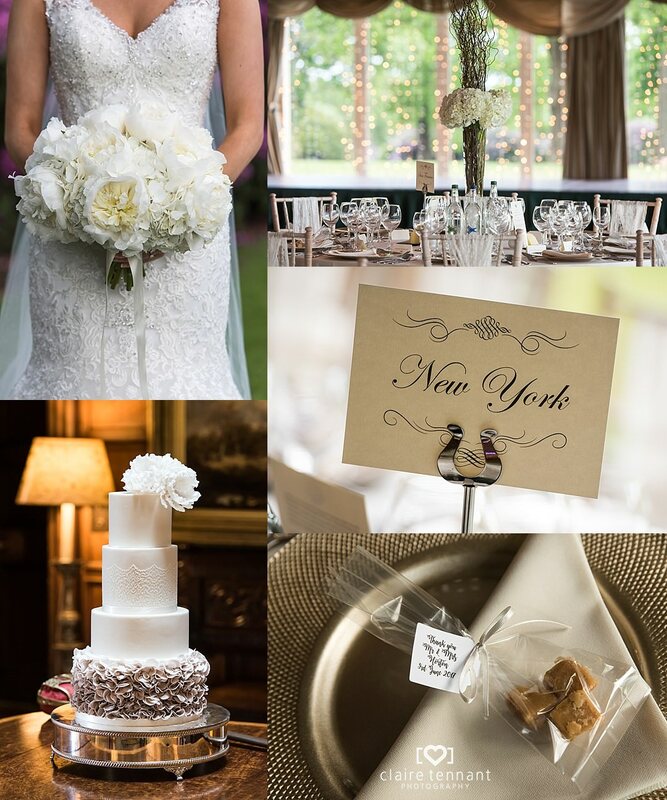 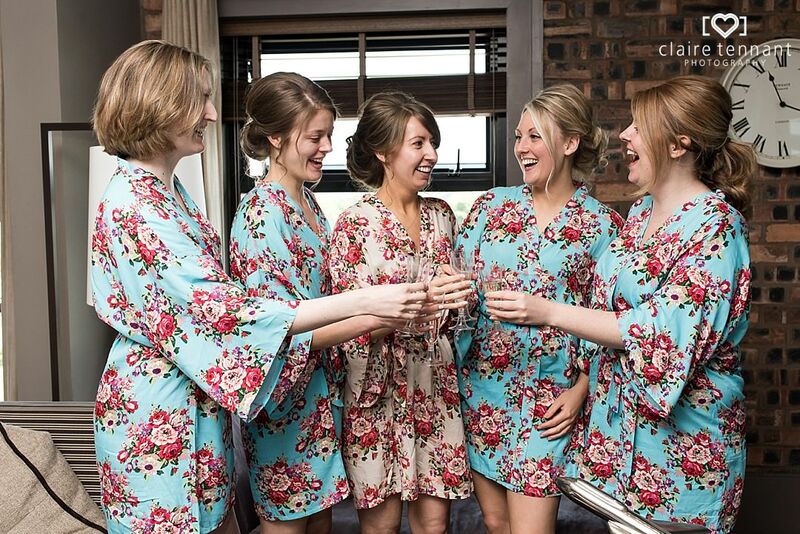 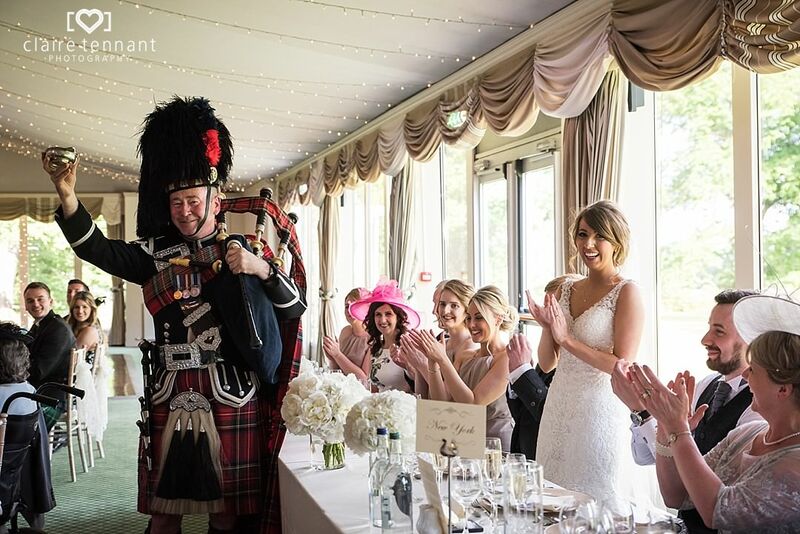 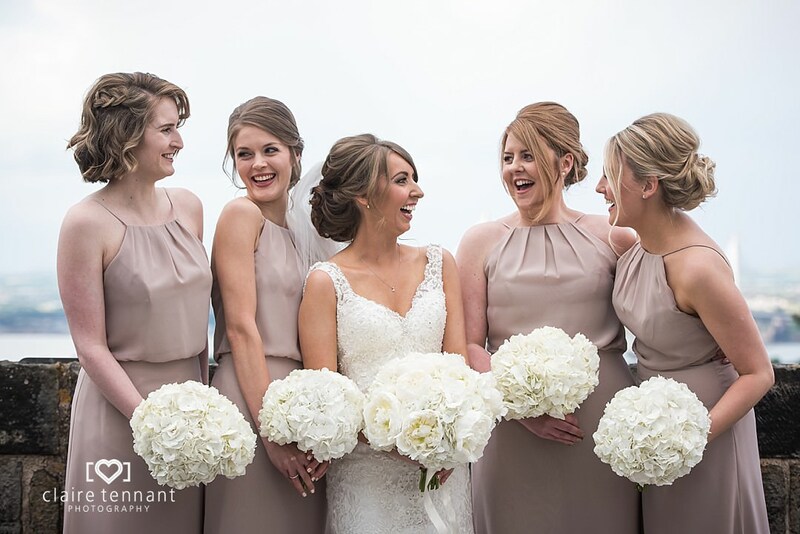 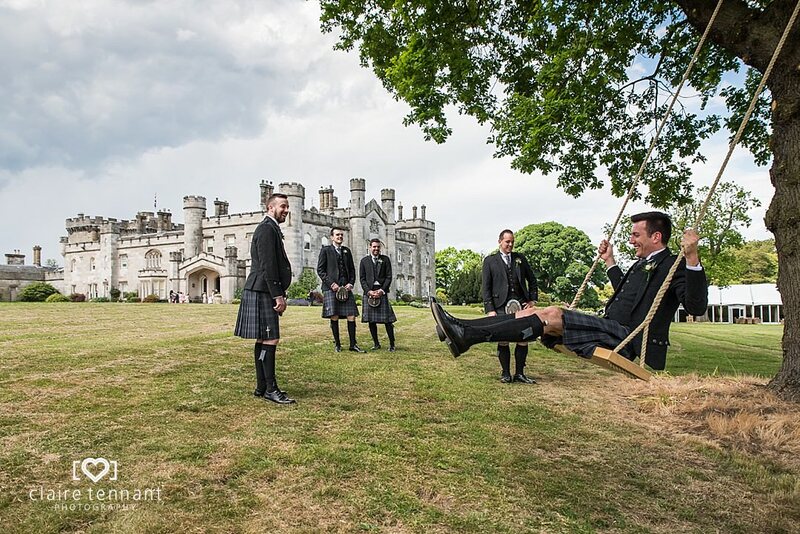 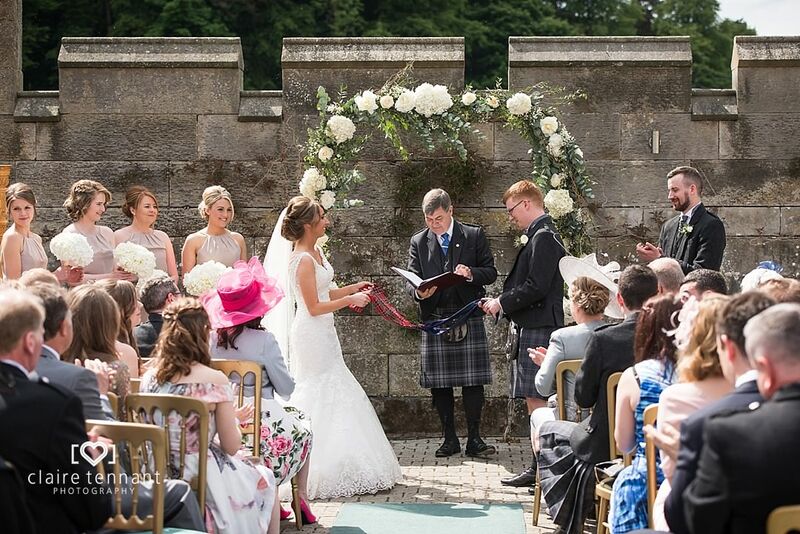 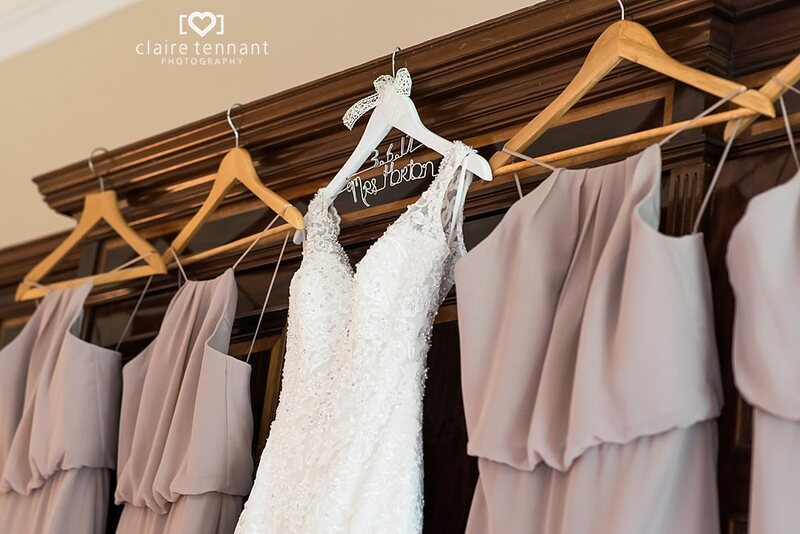 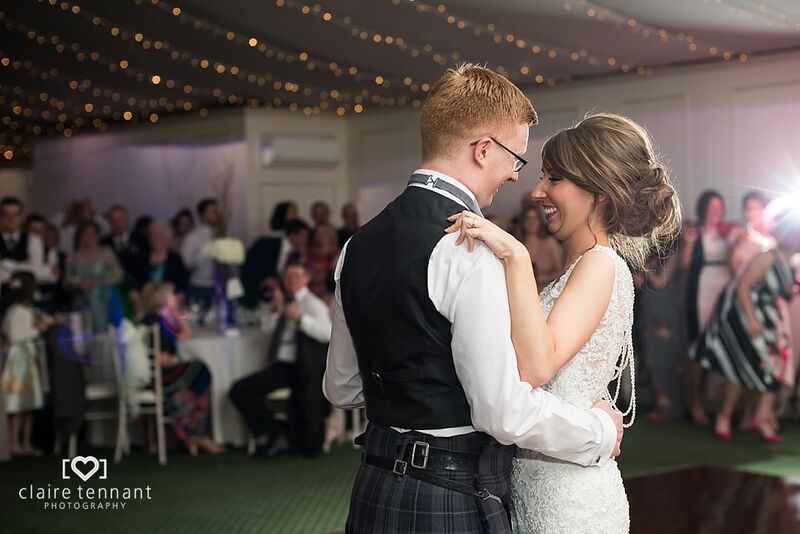 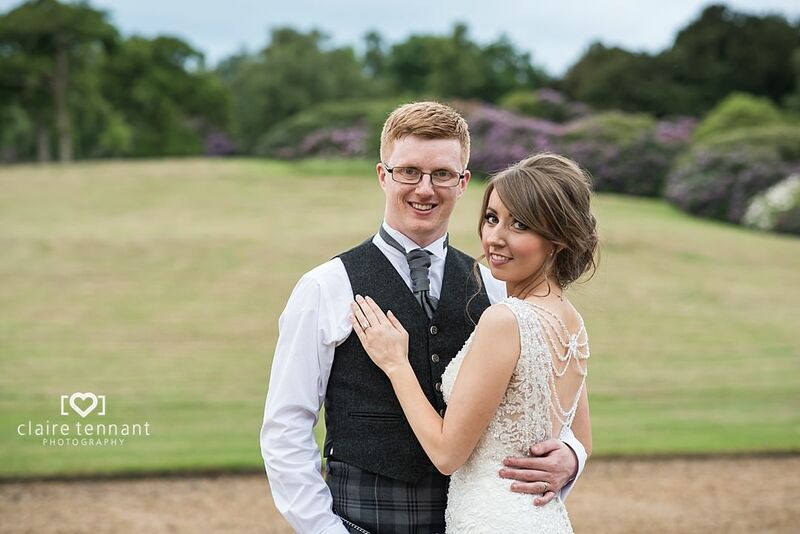 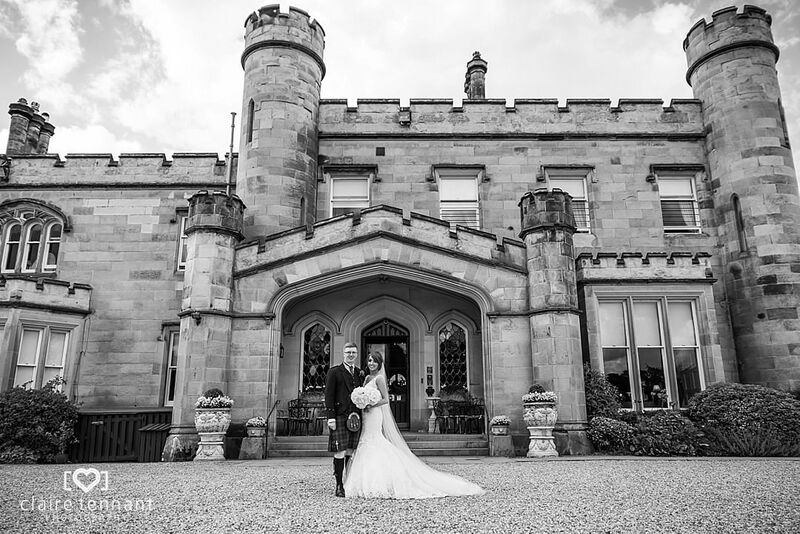 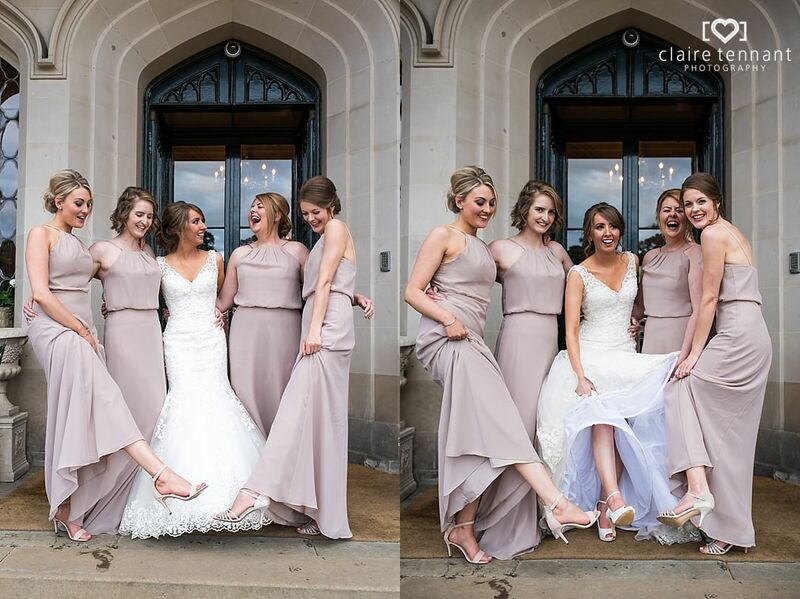 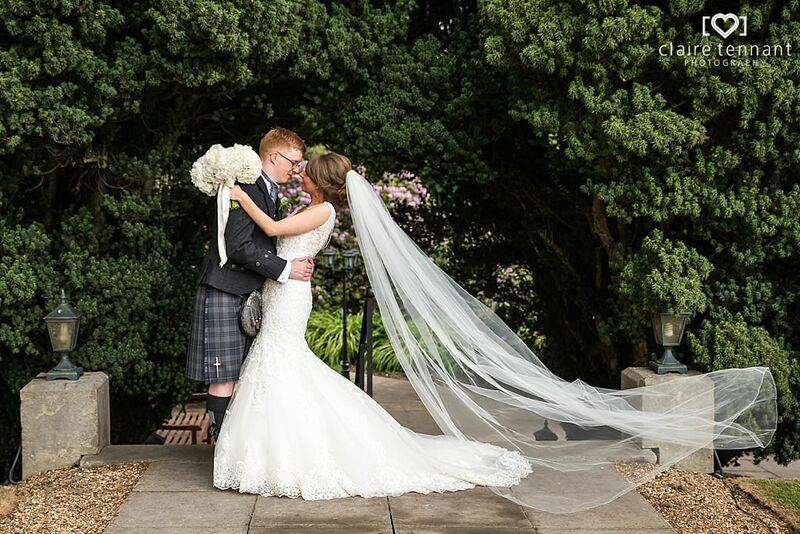 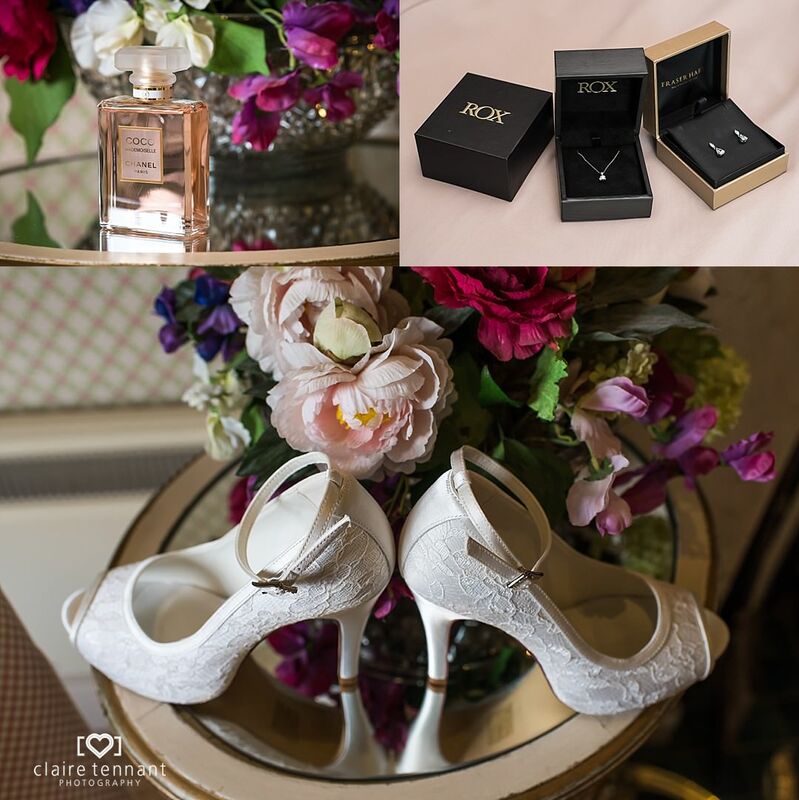 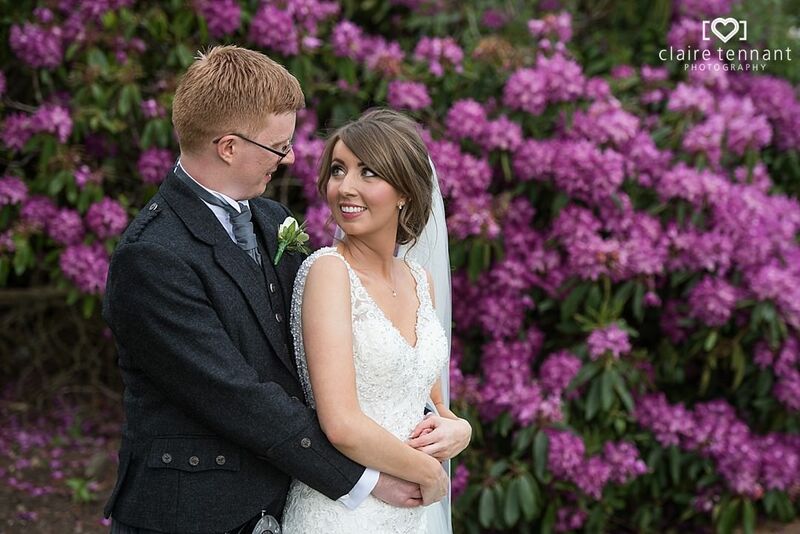 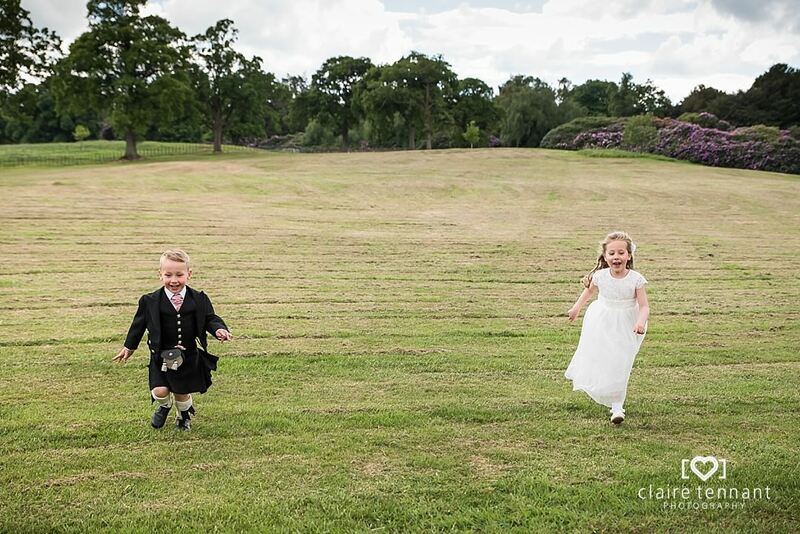 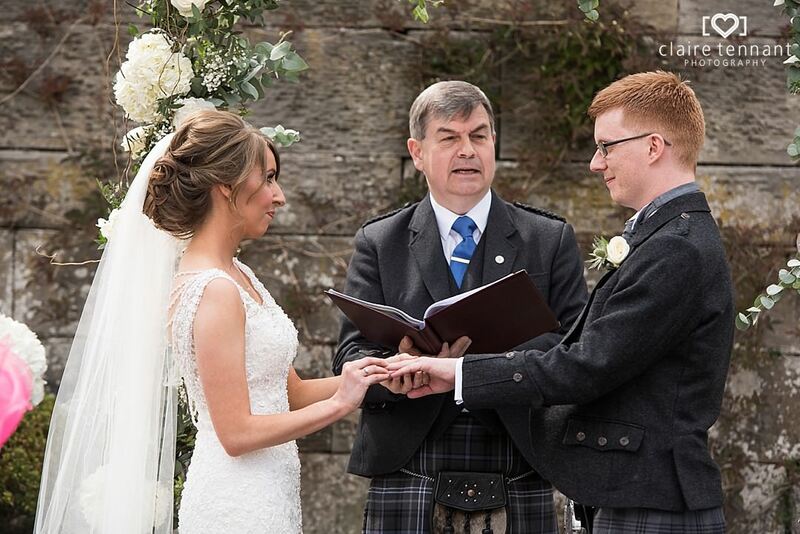 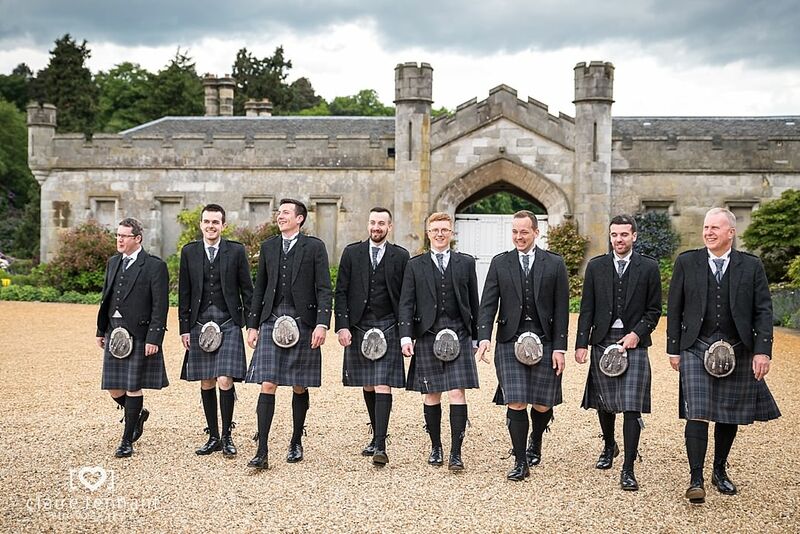 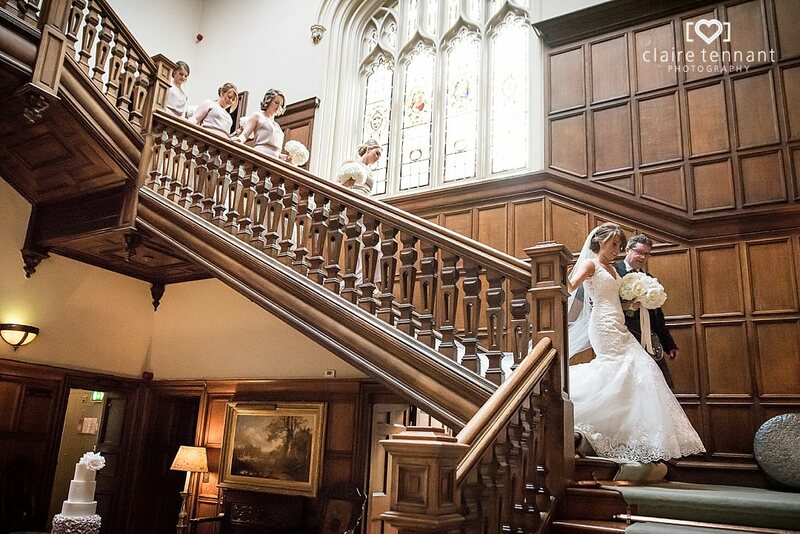 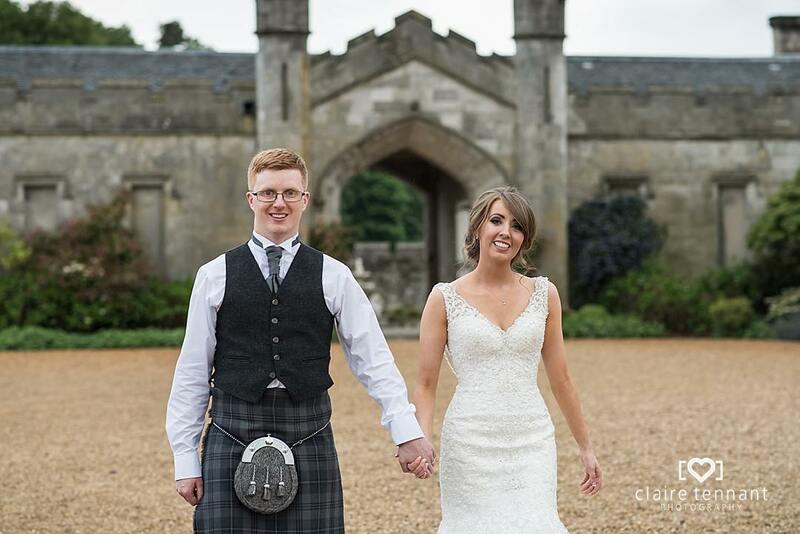 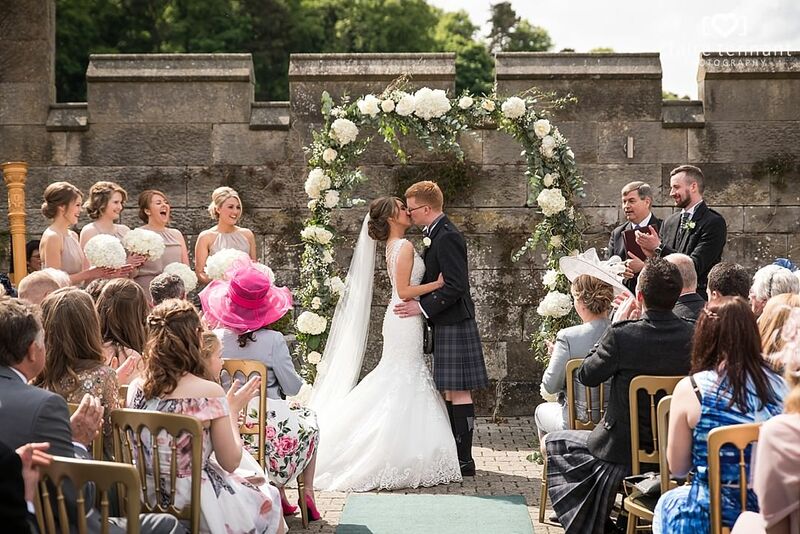 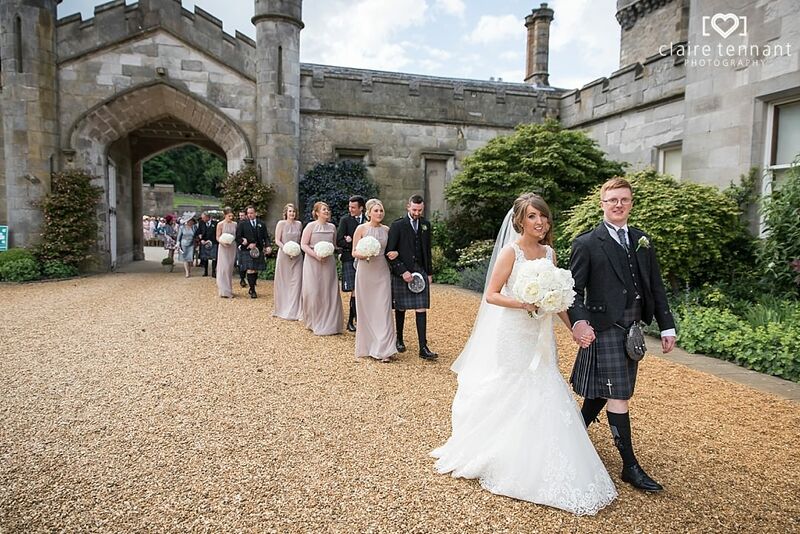 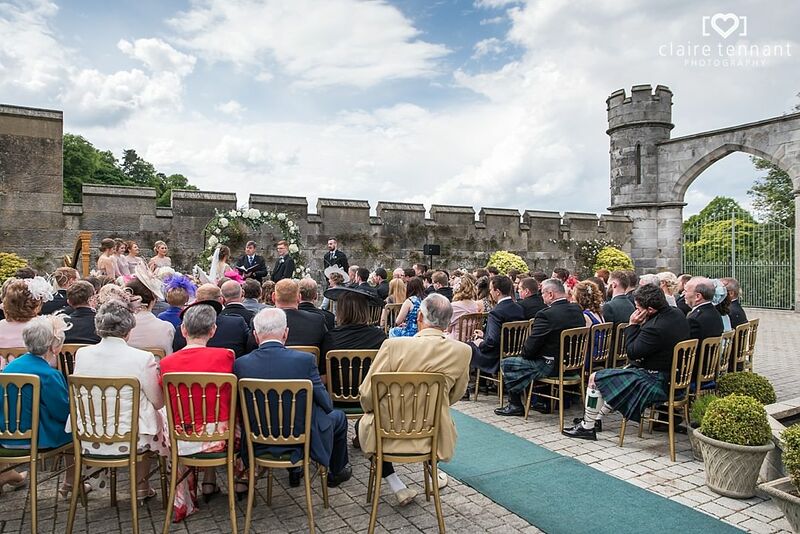 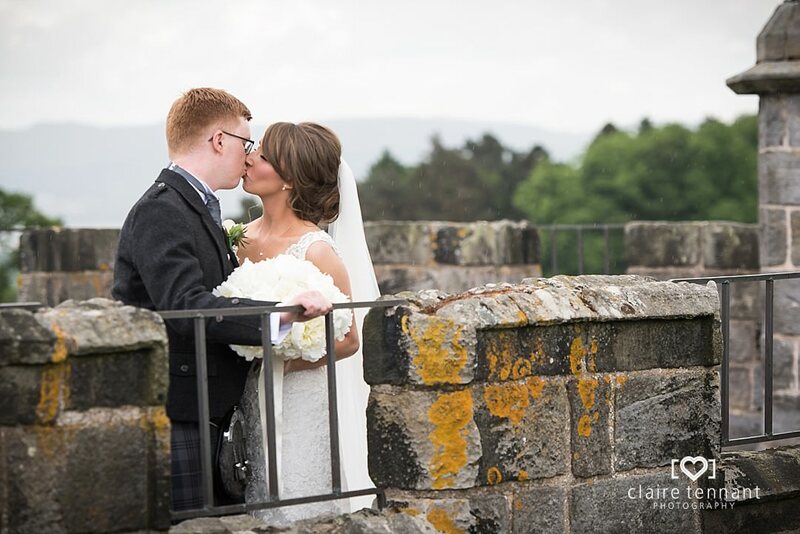 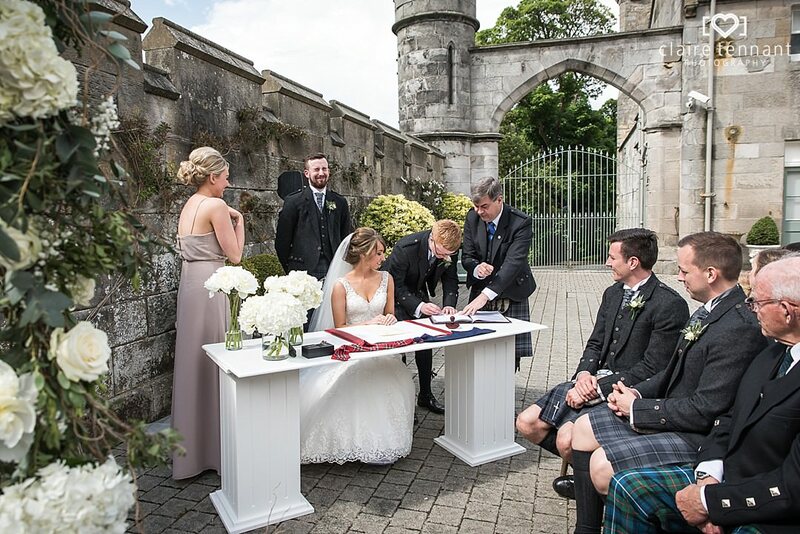 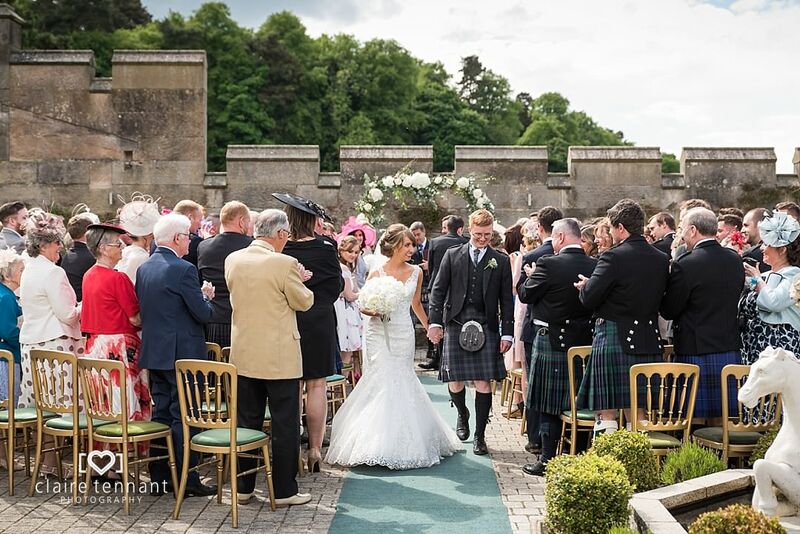 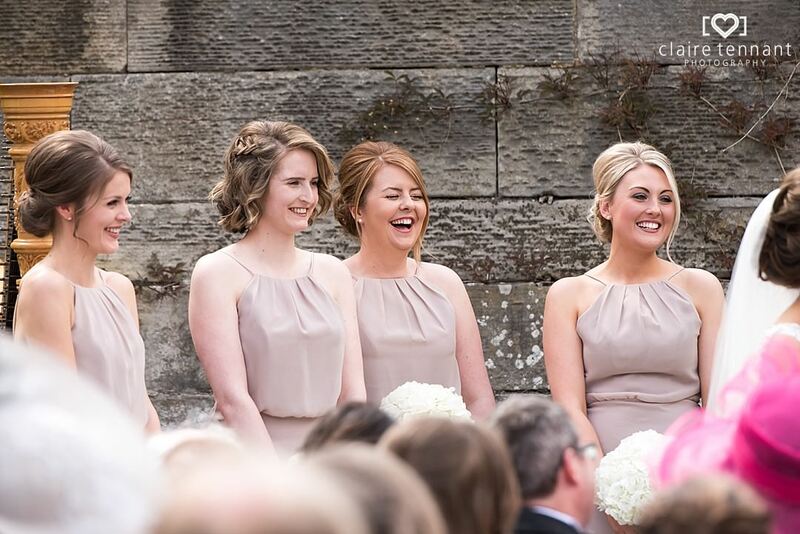 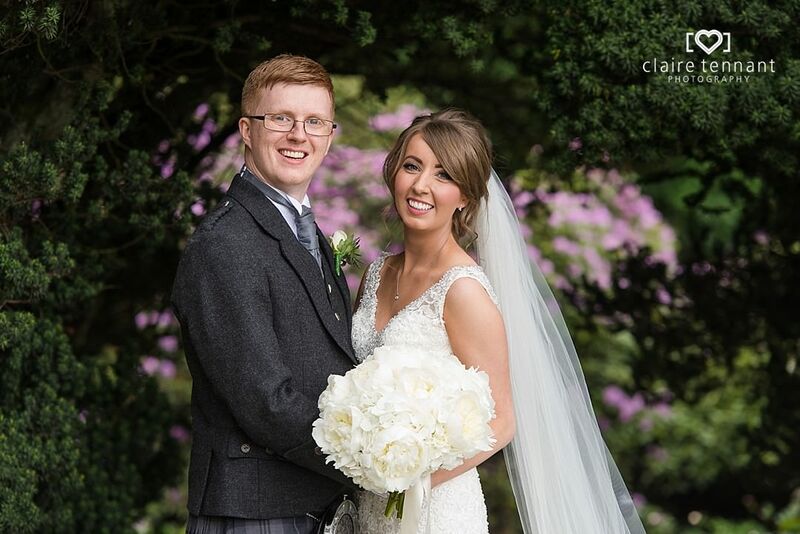 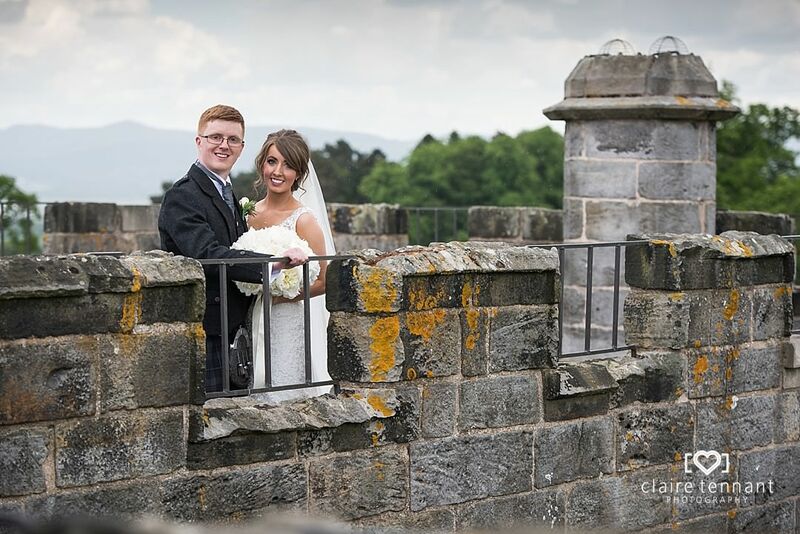 Everything about this Summer outdoor wedding at Dundas Castle was amazing! 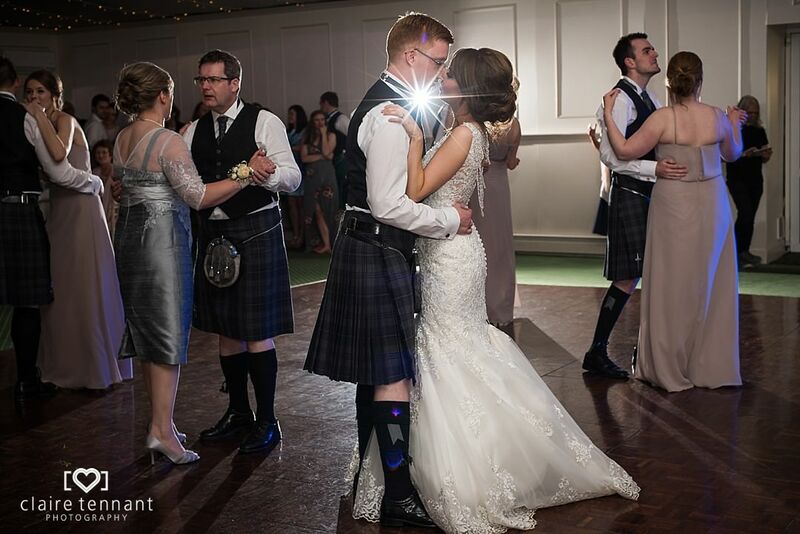 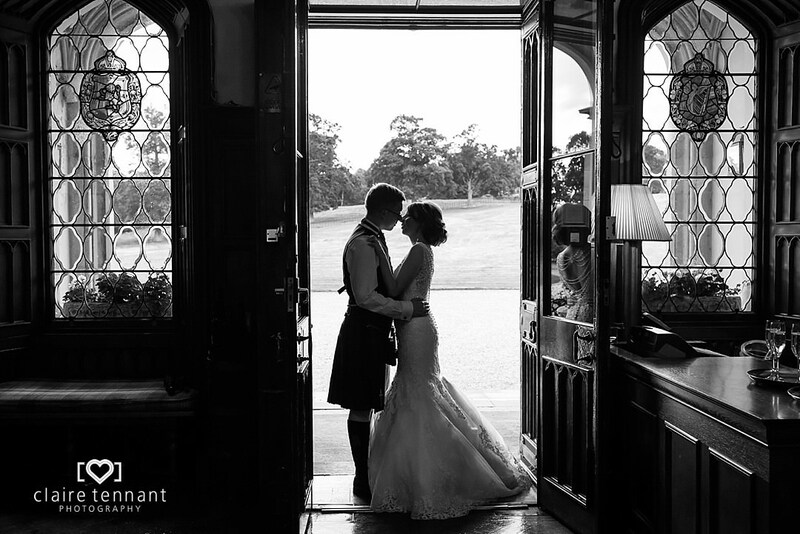 It was my first time shooting a wedding at Dundas Castle and after scouting the venue a couple of weeks beforehand I just knew it was going to be a memorable one. 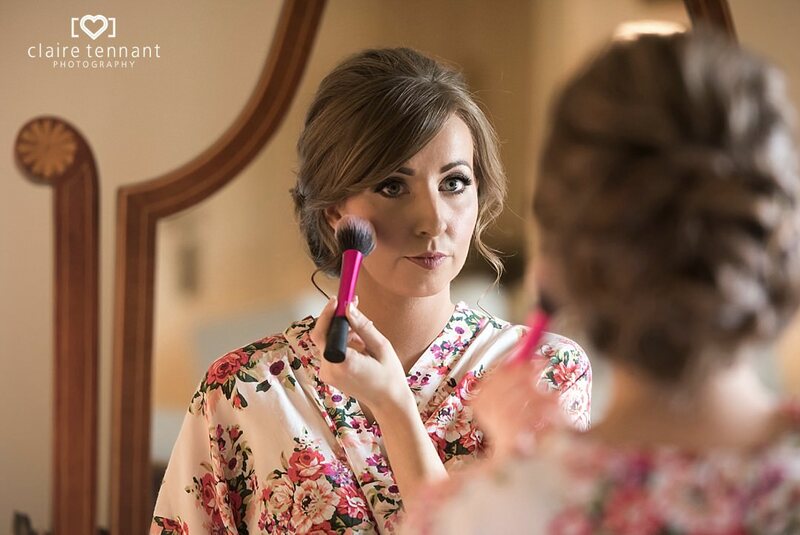 I met Lesley Jayne in the morning at the nearby Dakota Hotel where she was having her hair styled. 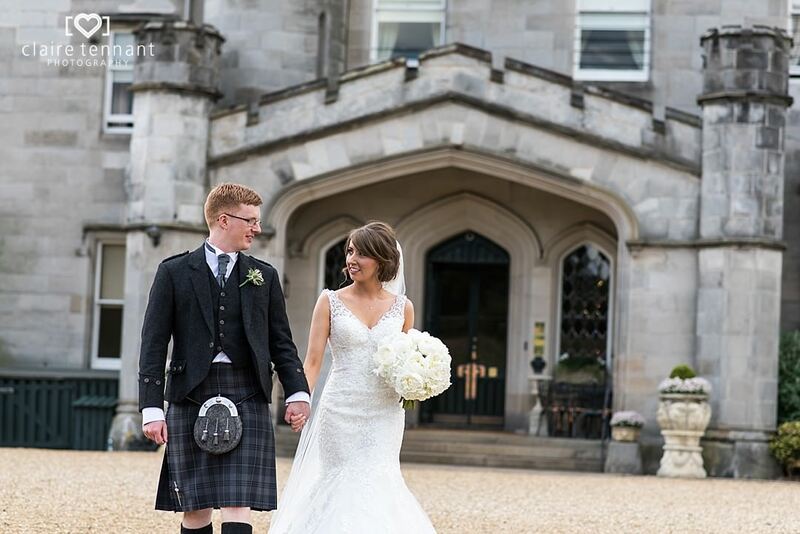 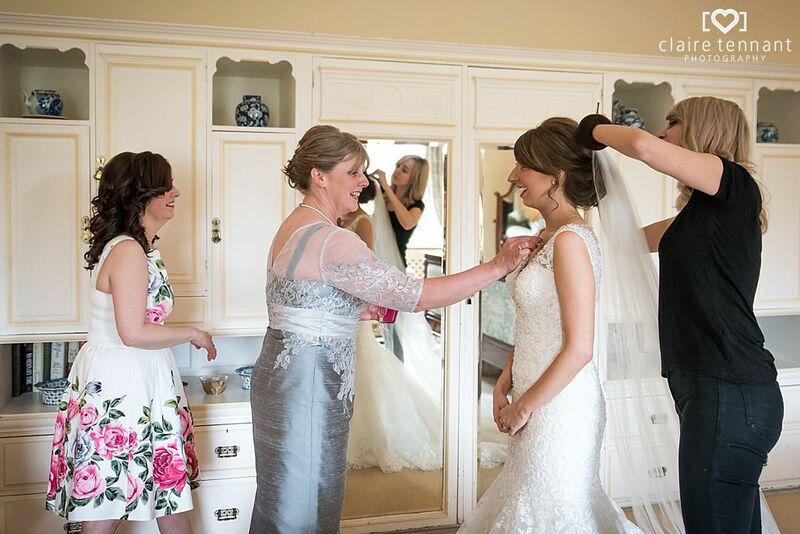 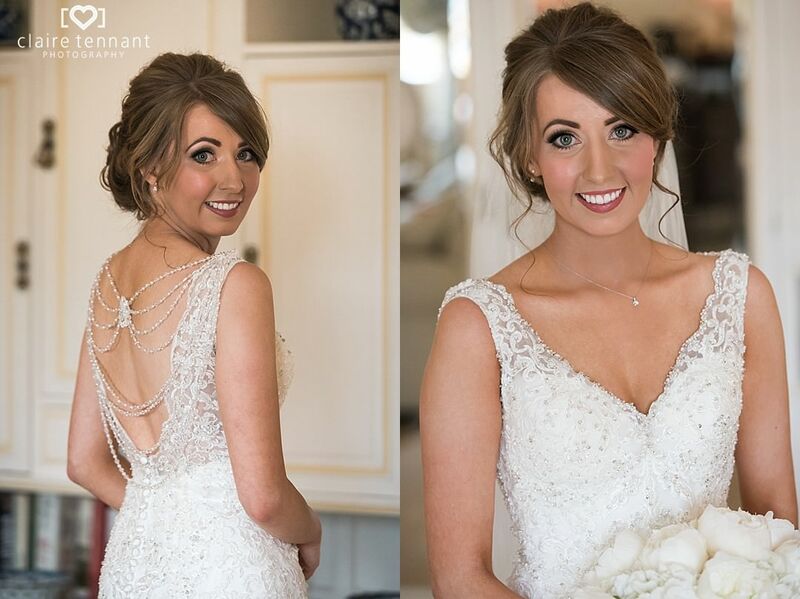 We soon made our way to Dundas Castle for the final bridal preparations. 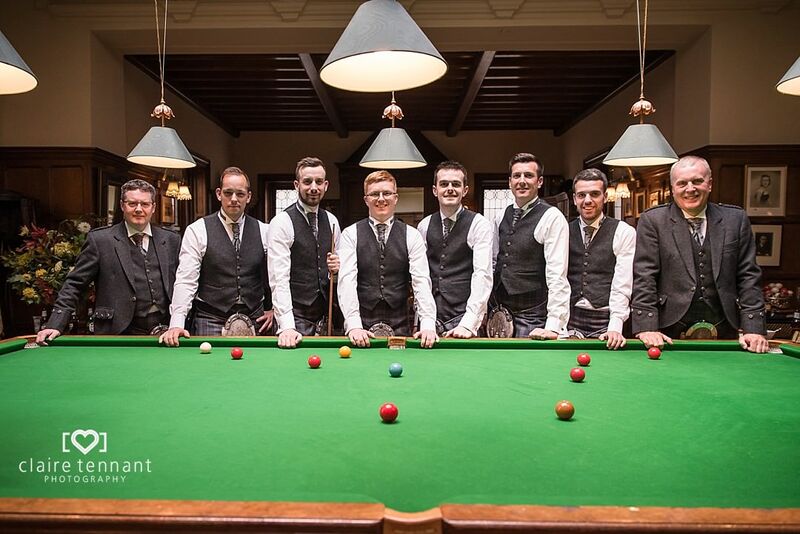 Scott and the boys were already at Dundas and on great form! 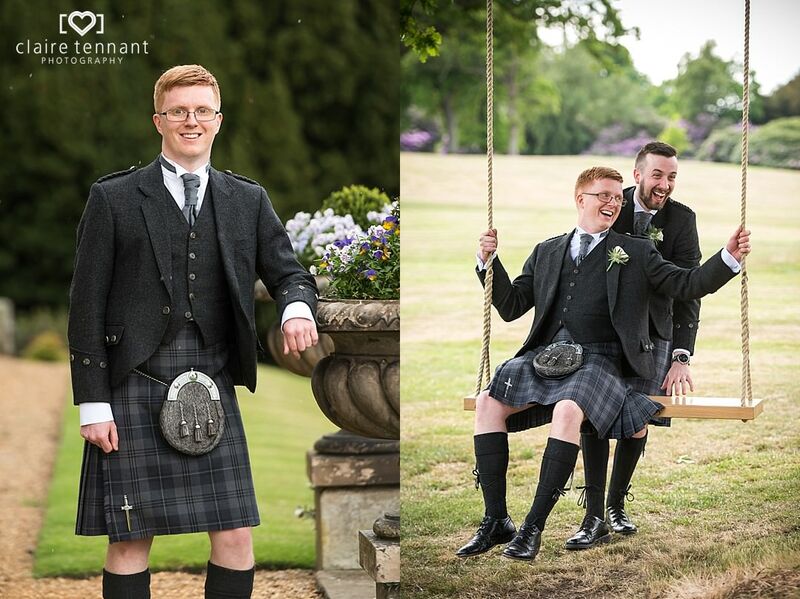 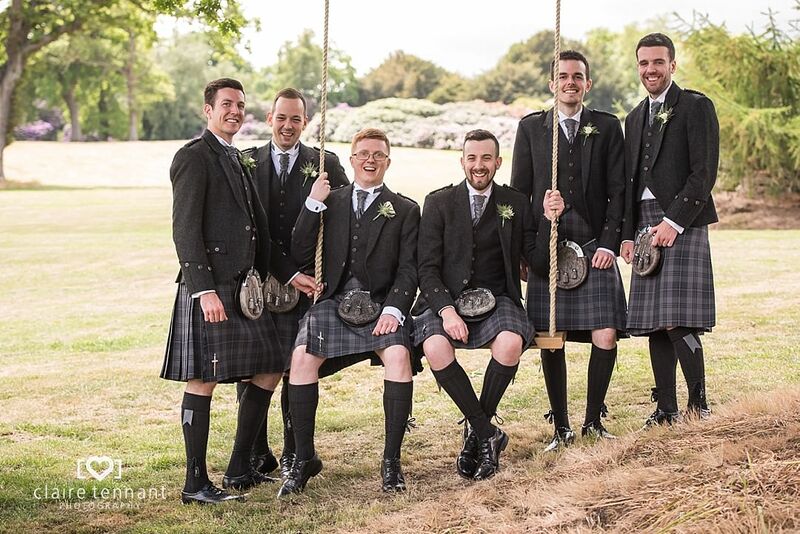 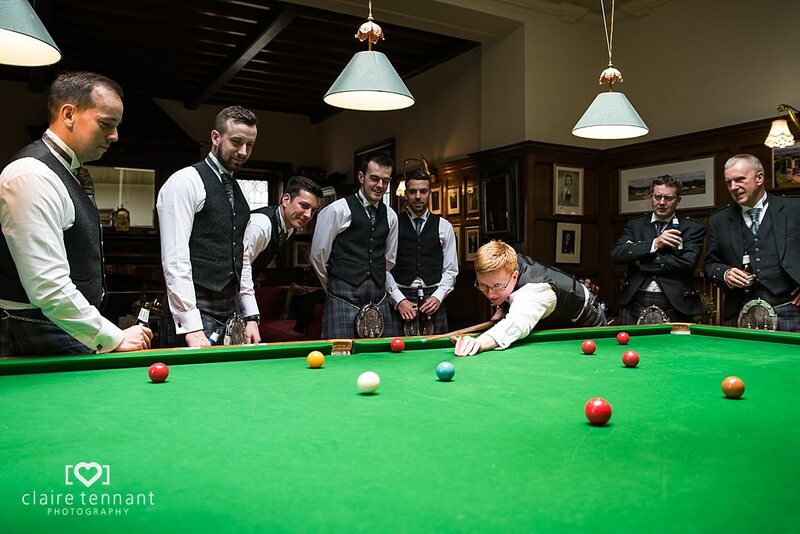 Not only did they have a pre-wedding game of snooker but I also persuaded them to use the swing which made for some fun photos! 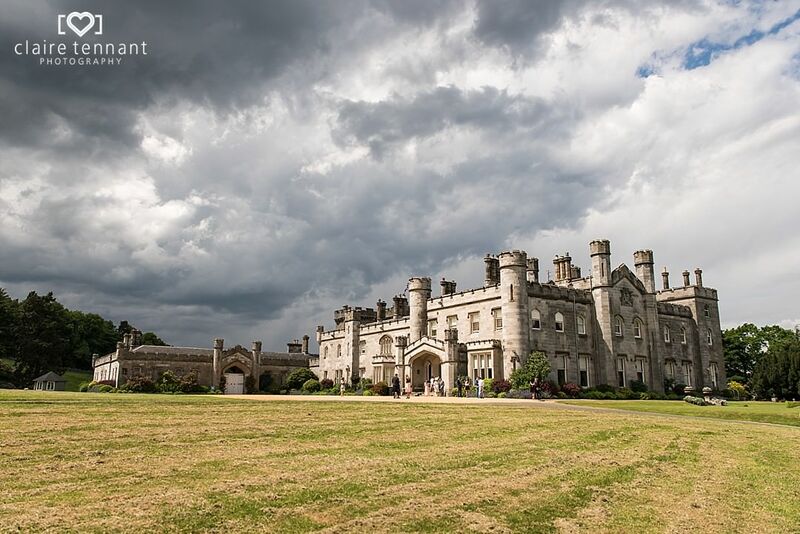 Although the sky was cloudy and looked like rain could be on the way they decided to go ahead with their outdoor ceremony plans. 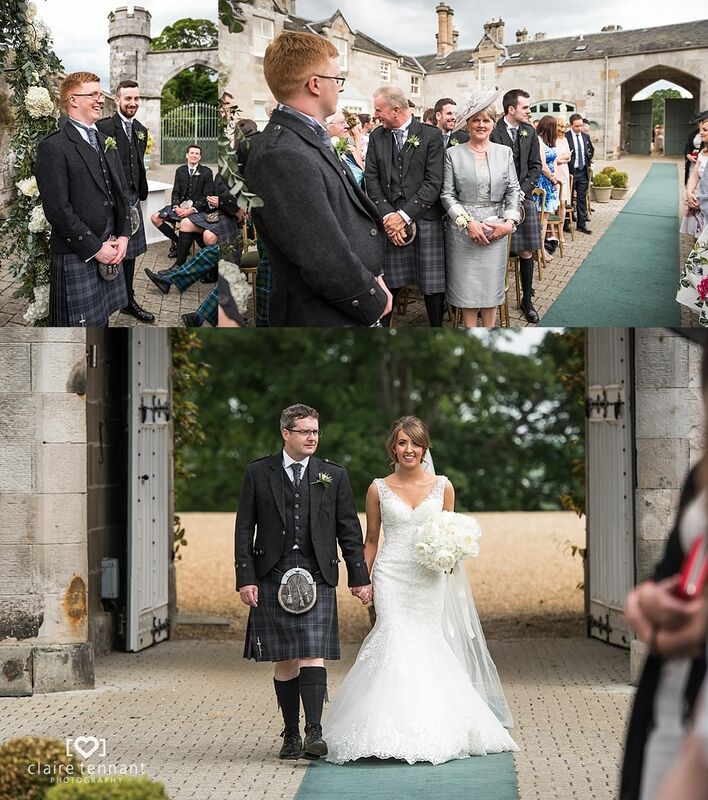 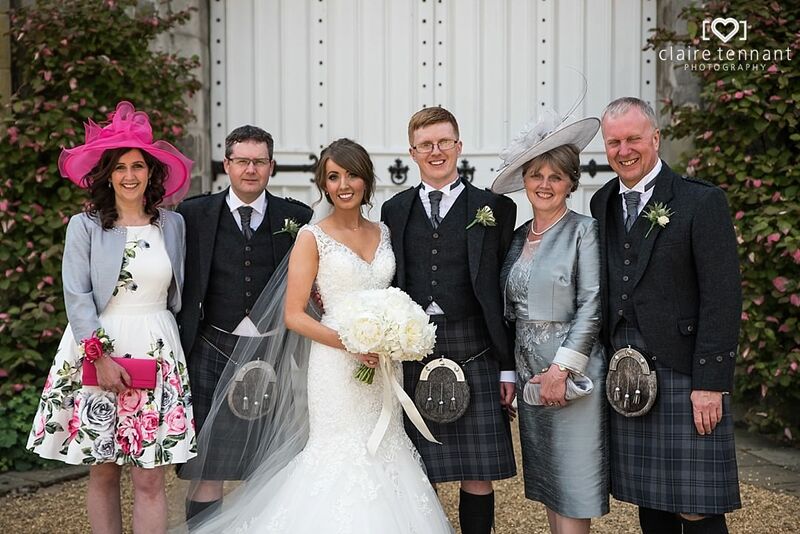 Their relaxed humanist ceremony took place in the courtyard area and Lesley Jayne made a spectacular entrance through the enormous double doors. 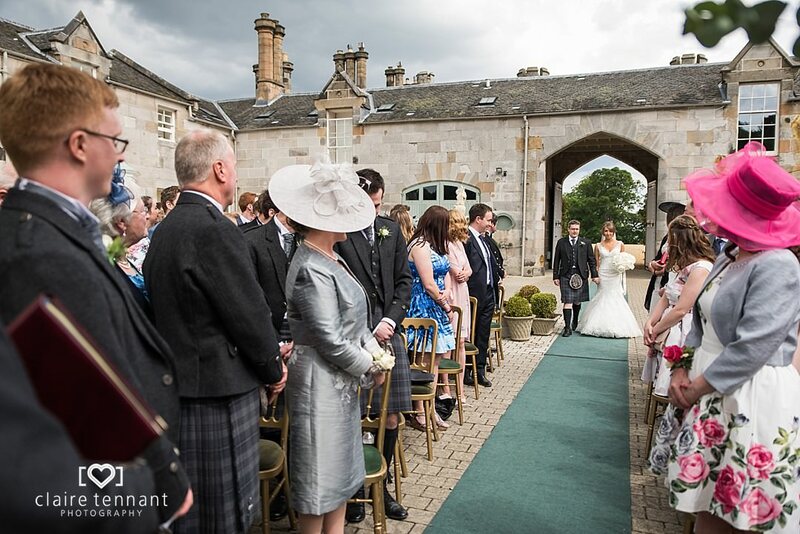 Such an incredible setting for a wedding ceremony and luckily it stayed dry throughout. 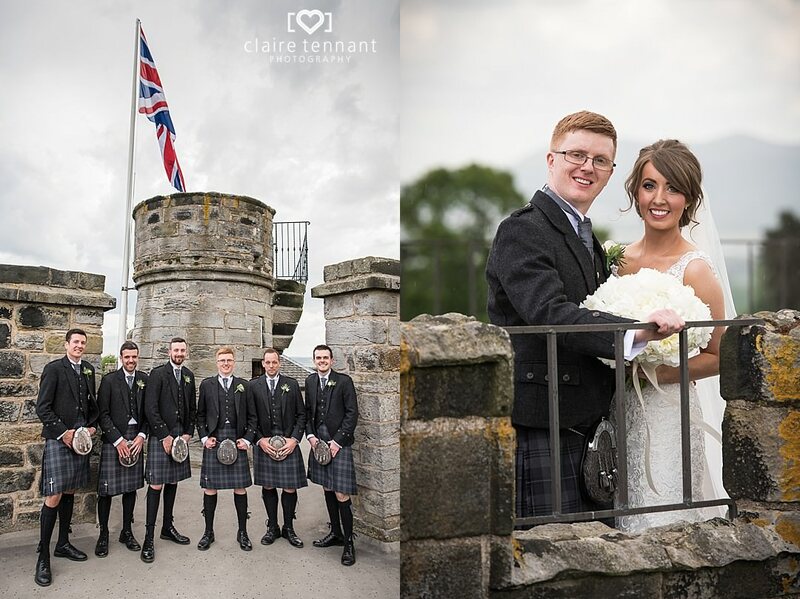 After the ceremony LJ, Scott and the bridal party made their way to the top of the tower for some photos. 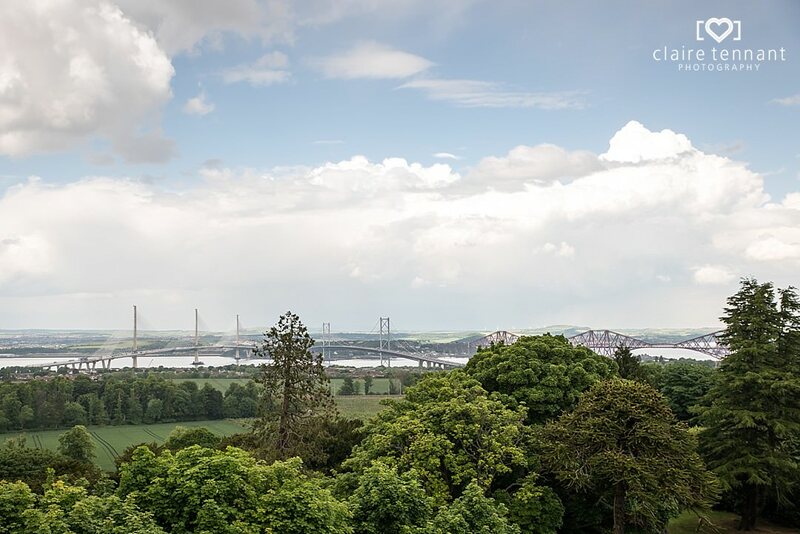 We weren’t up there long before the rain came on but luckily we had just enough time to take what I needed. 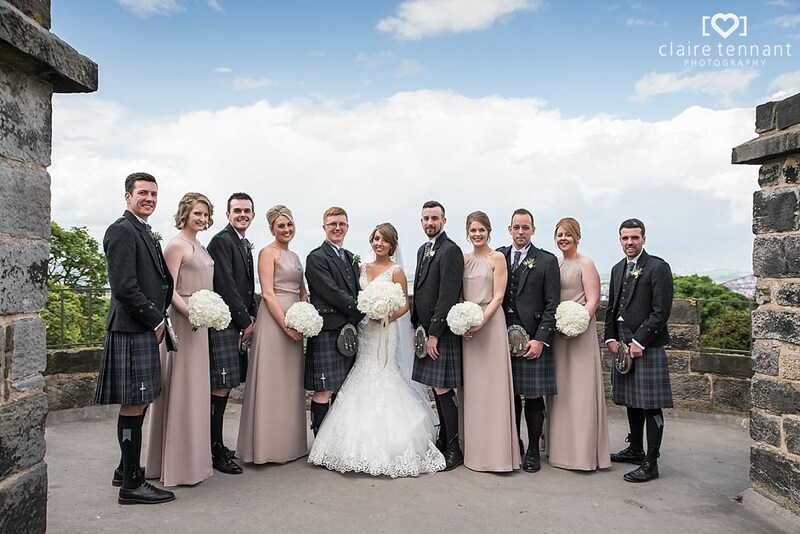 Once we got back to ground level the rain soon stopped so we were able to continue the rest of the group photos outdoors. 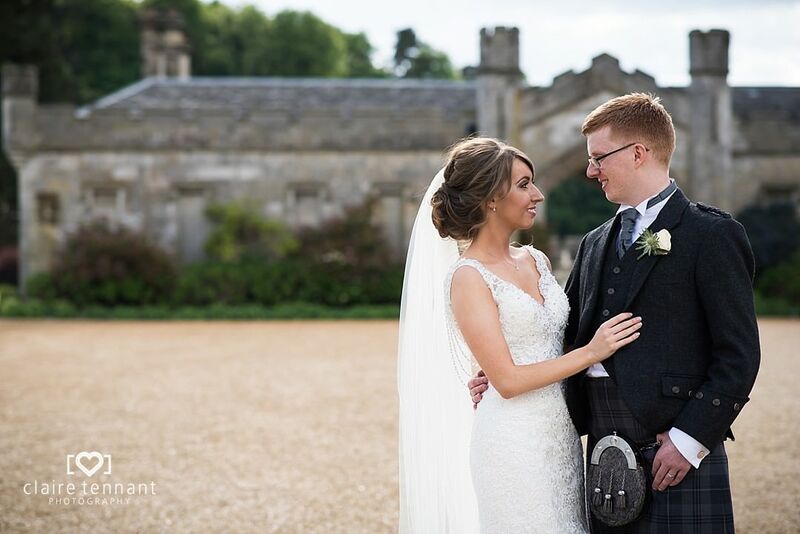 There were so many amazing photo locations, I was spoilt for choice! 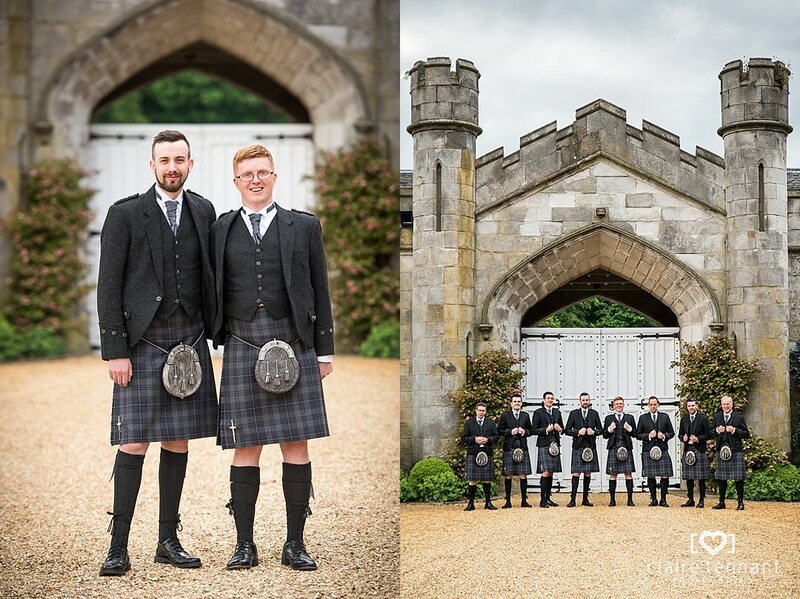 What made it even better was that LJ and Scott were so relaxed and easy to work with. 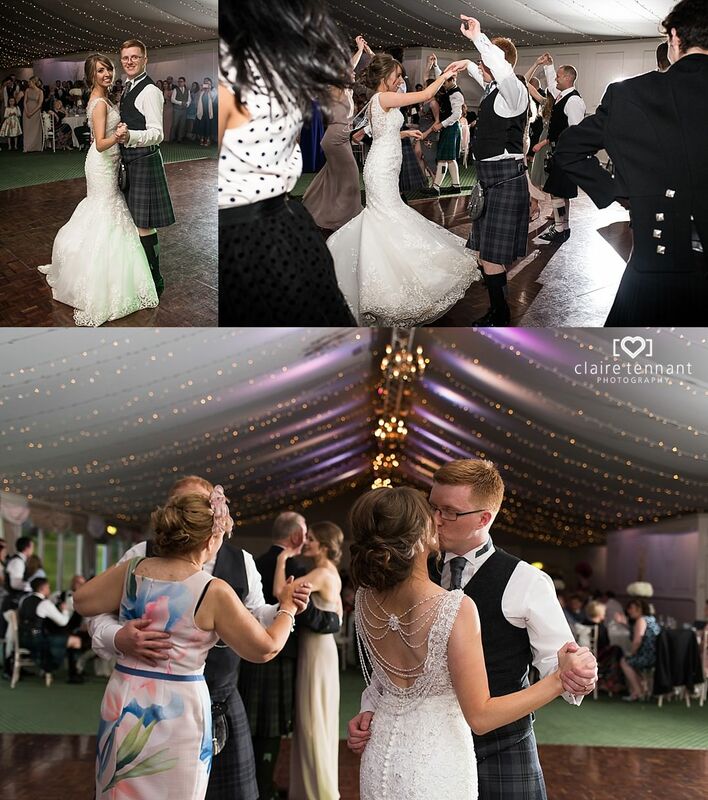 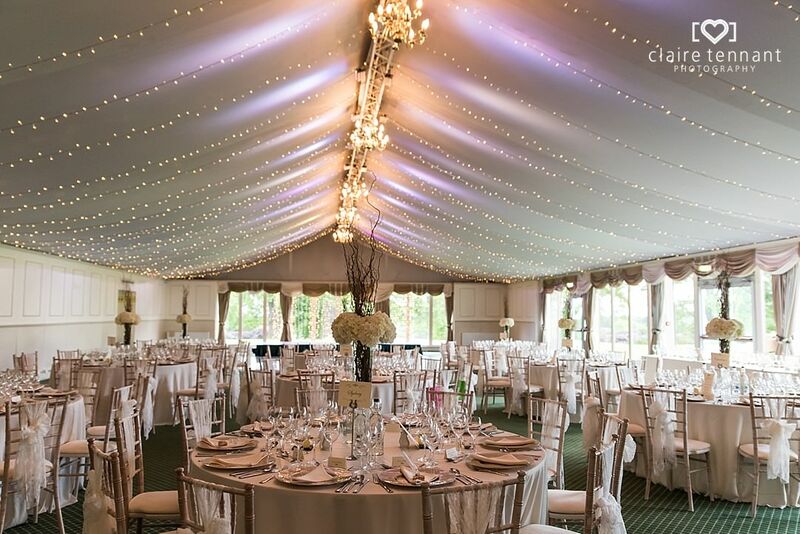 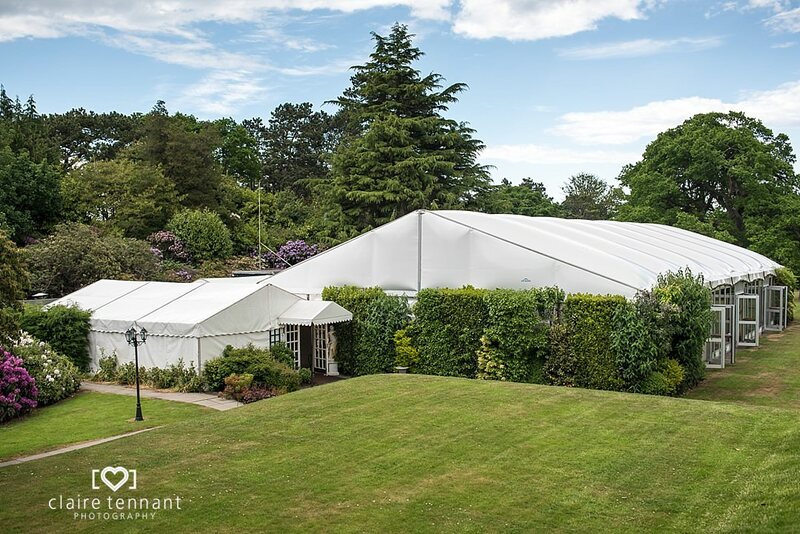 Once the drinks reception finished everyone made their way to the beautiful marquee for the meal and dancing which is when the party really started!! 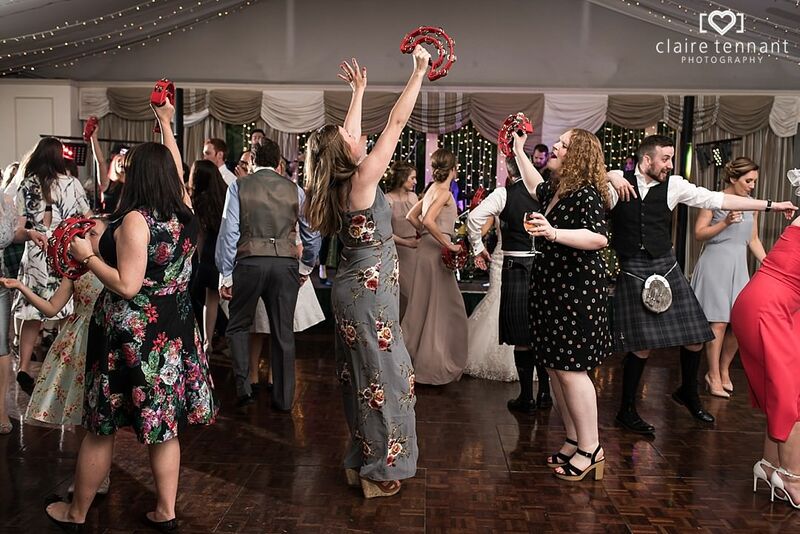 I loved how the band gave the guests tambourines after the first few dances as it really brought out people’s fun side.